Relationships that people have with their pets can be considered priceless because they treat these creatures as a part of the family. This can be the reason why various companies like Artsy Lobster and 3D Petshop are providing ways for pet lovers to show how much they appreciate their pets. 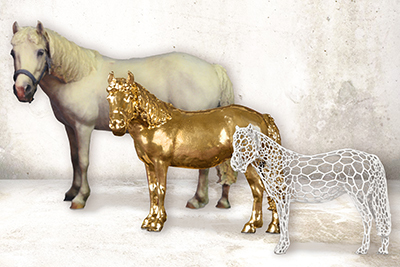 Through 3D printing, they can create 3D printed sculptures of their pet that looks real. Even if you cannot sleep with your pet if ever that you have a horse, the way you treat the animal is just the same with your dog and cat. 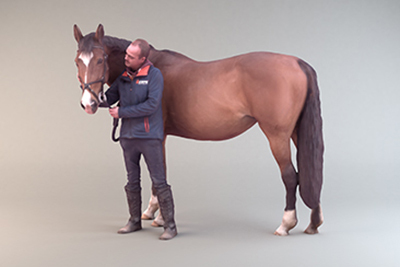 My Horse in 3D a company that is based in Netherlands and also a subsidiary of DoubleMe3D focus on allowing horse owners to have 3D printed pony or horse statue. Knowing how a horse is strongly attached to its rider, for sure both of them know what their personality is and how they behave. Because it is not that easy to capture a great pose of a horse, My Horse in 3D had a modern way of doing the process with the use of a scanning system and also by acquiring help from professional photographers. This will make it possible for them to come up with a lifelike structure of a horse. In order for the company to capture images of the horse every minute, they have decided to use 150 cameras. In creating the 3D printed statue, they can use different materials such as full colored sandstone, polished bronze, and 18 carat gold. As a matter of fact, even the rider can also be 3D printed. 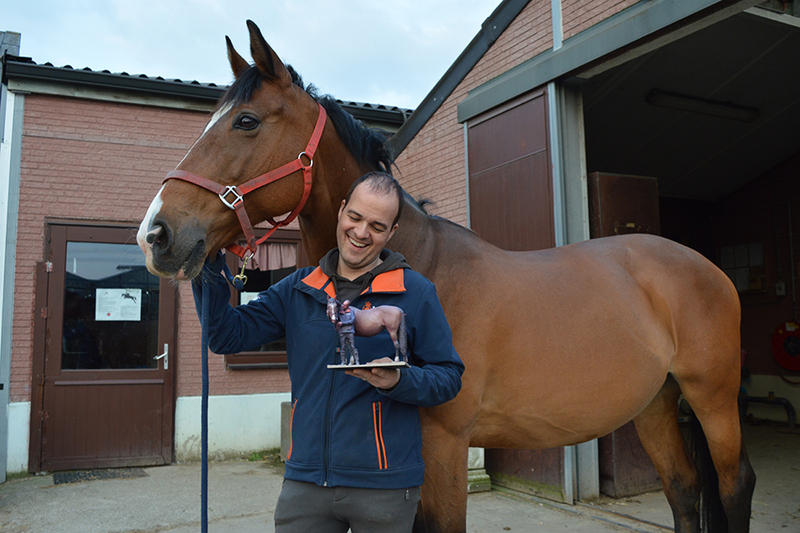 It will take five up to seven weeks to finish 3D printing the horse that can be available in different sizes. A small statue is 15 cm, a medium statue is 17 cm, while a large statue is 25 cm. once you have chosen 6 or more horses to be scanned, the company will go to your stable while providing comfort and safety to your horses. The system that will be used for scanning can provide enough space for your horse so that they can comfortably make their pose. You don’t even have to worry about your horse if ever that it started to act uncomfortable because the system has a wide entrance. The photo cameras that are used for scanning the horses are said to be harmless because they don’t have flash and a sound thus preventing the horse from behaving strangely. The scanning session will take 45 minutes wherein no issues will occur. Even if the company focuses on horses, they have already tried scanning other animals like birds, dogs, and cats and produced their 3D printed statues. They have used smaller 3D scanner set up in a studio in Bleiswijk. 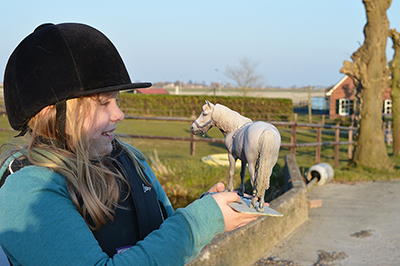 With the scanning system of My Horse in 3D, it is possible for horseback riders in Netherlands to reflect and admire their horse anytime and anywhere.